Anytime I have the Children’s Story, I know that God has a very important lesson for me. I’ve had it for two weeks and have it again on Sunday. It’s from 1 Corinthians 13, a beautiful way to end God’s “Lessons in Love.” I’ve struggled and searched for days for an object that represents love. Hearts, valentines, candy boxes, special cards and gifts from the past, little things Tyler made me when he was young just didn’t seem right. Love is in all of them, but gifts aren’t love. I pray more intensely when I have the story because I know it’s important to get to the heart of the message and have a simple object that helps the little ones and me get God’s point. As I’ve gone in and out of my room this week, I’ve seen the object from last week’s lesson on my dresser. 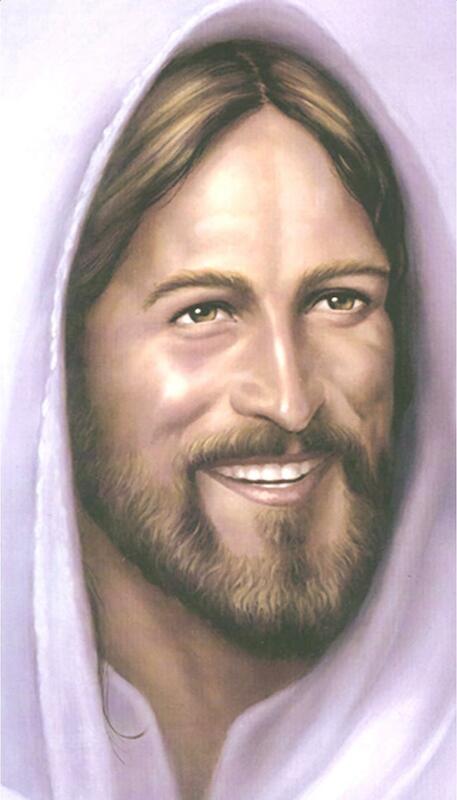 I threw away the picture of Jesus that was in pieces because I didn’t like to look at it, but I kept the one that showed my sweet, smiling Savior all in one piece. Each time I passed the picture, I’ve touched it and said, “I love you! !” Last night, as I prayed once again, for God’s help with the story, I saw the smiling face of Jesus. God didn’t slap me in the back of my head, but I did smack myself on my forehead. Jesus is what love looks like because Jesus is love!! I’m glad God didn’t say, “Duh!” but I certainly did. Since mama died three years ago, my search for love has intensified and become more of a quest than a journey. Mama was my anchor when it came to love, and when she left, my heart was disconnected. The journey has been like the ride the disciples took on the stormy sea, and my faith has been like theirs. Last night, He calmed my heart just as He calmed the turbulent waters in Galilee. Mark 4:35-40 describes that scene then and my troubled heart. Last night, Jesus looked at me with love and asked me the same question He asked His disciples. I have to admit that I felt pretty silly and was thankful for the beautiful smile that made my fears fade and my faith full:) So, Lillyann and Mylah, if you want to know what love looks like, here it is.